A friend of mine recently moved to Alaska, and I am jealous. I would love to move to Alaska. It would be cold, dark, miserable, snowy, and full of embittered, unmarriageable alcoholics – just the way I like it. My friend, Beth, recently posted on Facebook a picture of her local Alaskan newspaper’s crime report. Apparently, during the third week in January, her local police department investigated zero bear complaints. She was delighted that “bear complaints” are a standing category in this report. Further conversation revealed that she is looking forward to someday lodging a bear complaint of her very own. Now, let me tell you that all my life, I’ve wanted to see a bear. Growing up in West Virginia, it seemed like everyone I knew had a bear story. Chuck, my mother’s boyfriend when I was a teenager, told a story about getting between a mother and her cubs which, surprisingly, didn’t end with him getting eaten, which was unfortunate because him getting eaten would have made the world a better place. Herb, the boyfriend before Chuck, told a story about sleeping on the front porch on a hot summer night and waking up to one of his hunting dogs licking his face. 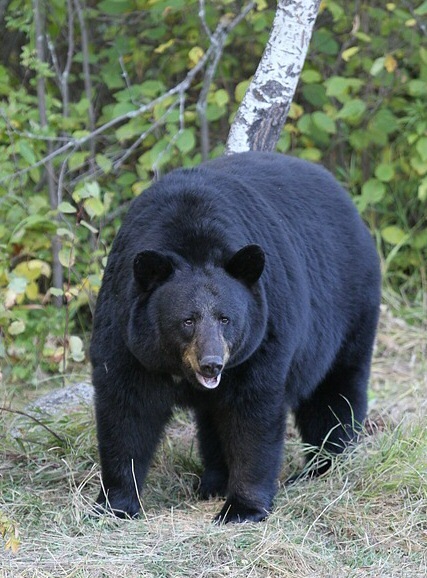 But when he went to shove the dog away, he was surprised to discover that it was not a dog, but a black bear. But I digress. In spite of the fact that everyone around me seems to have seen, shot at, run from, been licked by, eaten, or married a bear, I have never seen a bear. I mean, I’ve seen bears in the zoo, but that doesn’t count. For all I know, those aren’t even real bears. They’re doing all kinds of things with technology these days. I want to see a bear, but I guess they’re more elusive than I’d been led to believe. Another friend of mine hiked the whole Appalachian Trail and only saw one bear, and that one was in Maine. 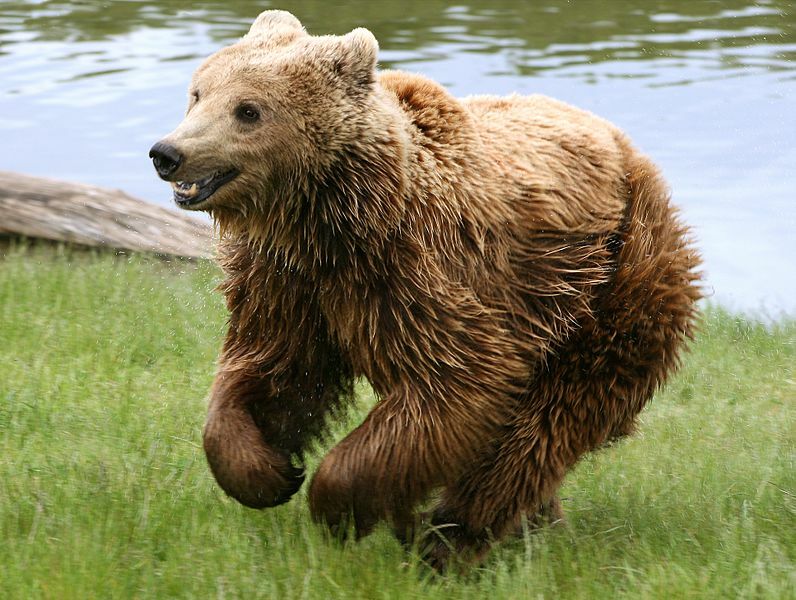 Imagine walking in the woods for six months straight and only seeing one bear. My mother often took me camping on my grandparents' land when I was a girl, and on these trips, I kept my eyes peeled for bear. My mother encouraged this by saying things like, "Guy Phillips saw a bear down here yesterday," or, "See that path? That was definitely made by a bear." Eventually I realized that bear didn't live on my grandparents' land, the outskirts of which was relatively well-settled. Jim and I recently visited the Great Smoky Mountains National Park, where I had hoped to finally see a bear. I insisted that we go to Balsam Mountain Campground, because online reviewers had posted photos of bear wondering amongst the campsites. I want to see a bear, but I don't want to work for it. I made Jim go on a hike with me, ostensibly to enjoy the outdoors, but I wouldn't have minded if we'd seen a bear. I said as much to Jim: "I hope we see a bear." "I hope we don't see a bear," Jim replied. Spoiler alert: We didn't see a bear. I was disappointed. Jim was disappointed, too, but for different reasons – he hates camping. Easy and useful contents are usually helpful to readers to get good type of tips. I’ve examine an editorial which changed into genuinely simple and significant. custom dissertation writing service Such true posts are creating hobby in analyzing. Maintain sharing such good posts. Fun Friday Facts #133: Can Knitting Treat PTSD?